Add charming detail above cabinetry, hoods, either on it's own or with stacked moulding. The definition of Bijou is “small and elegant, ” which perfectly describes our Bijou collection of wood components. 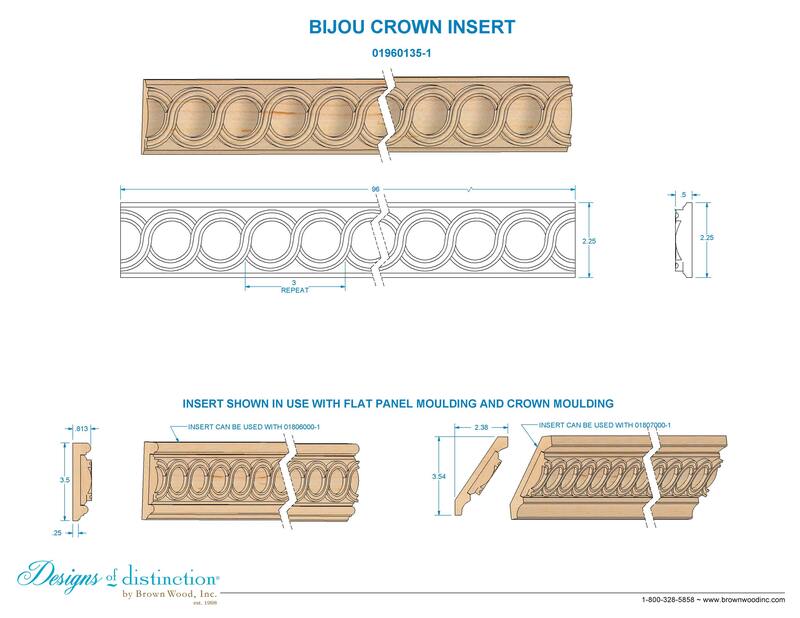 The Bijou Crown Insert complements contemporary or retro design, and makes a statement on it’s own or combined with our Flat Panel or Create-A-Crown® Moulding. The Bijou Crown Insert is part of our Bijou Collection. Shop more of this look in the Bijou Collection.